Seeds…So many Choices! How to Choose the Right Seed For Your Garden? Seeds, and more seeds, oh my! 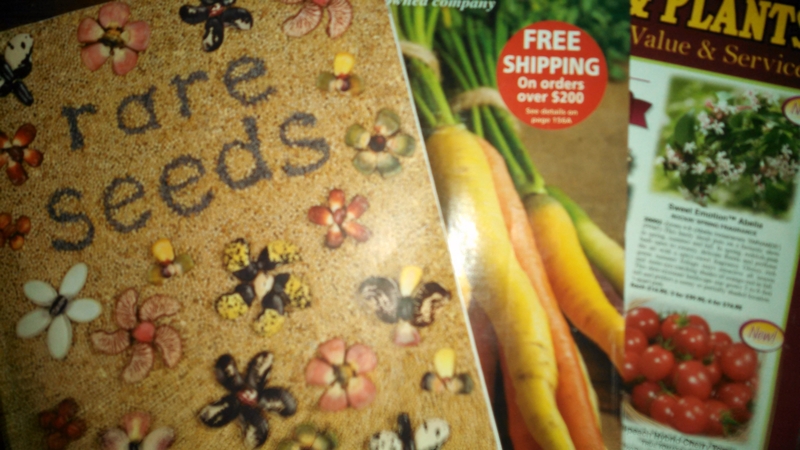 Of course seed catalogs are arriving in people’s mailboxes left and right this time of year! It’s time to snuggle up by the fire and dream of what you will grow this summer in your garden. Flipping through the pages of glossy pictures with new varieties can be a little overwhelming at times. What do all of these terms mean? How do I know what to choose? I hope I can help you understand this all a little better after you read my post! What is important is working with a seed company that you can trust, provides quality seed, and great customer service! Basically these companies agree and pledge that they will not knowingly sell GMO seed. This is a good thing because it shows the companies have morals and integrity. This does not ensure that the seeds have been tested to prove no cross contamination has occurred. It is a great starting point to narrow down seed company list. Companies that take the Safe Seed Pledge, Click here! Monsanto Owned Seed Companies and Cultivars. Monsanto, the Goliath of GMO seed, is trying to sneak into our food supply any way it can. It has bought out many seed companies including the largest seed supplier in the country, Seminis. Seminis Seed (Click to link of known associations) are sold everywhere, including some of the safe seed pledge companies! This means if you buy any seed from a Seminis company (40% of seed market) you are financially supporting Monsanto! We don’t want to do that! Monsanto now owns the trademark on several seed varieties as well! So even if sold by a great company they will get a portion of the profit!? We just can’t get away from this evil giant can we!? Well luckily there is another list to watch out for! Seed Names Watch-list! I personally order my seed from Baker Creek now! I love them, the seed choices, and the fact that they actively fight against GMO! Great service and company! Organic seeds are seeds that are collected from plants that were grown organically, free from harsh chemicals and harmful pesticides and fertilizers. The seed is collected, separated and stored without contact with any chemicals either. They are not pretreated with fungicide or anything else and are safe for the environment! Conventional seed is the opposite basically… The plants are grown with any pesticide and fertilizer, usually whether or not the plants even need it. They are then subjected to countless more chemicals in the collection and storage process. To top it off they are slathered in fungicide and the seed companies actually brag about this last step… No thanks, you can keep all that yucky stuff, I’ll take my garden and food clean please! Heirlooms are like the antiques of the seed world! They are plants that have been protected and cultivated using the same seed source for generations. Heirlooms are typically plants that out perform in some way and are recognized for their attributes! Heirlooms are Open Pollinated so they produce true fruit. The seed produced from an heirloom will produce a true copy of the mother plant so saving seed from year to year is beneficial to the wallet as well as you! Some people have gotten the wrong idea that hybrids are bad, that is not the case! The GMO debate has confused some people to think that hybrids are in the same category as genetically modified but they are very different. GMO seed can only be created in a lab with injection of DNA of a non compatible organism with another organism. This is not possible in nature under any set of circumstances! A hybrid is very different and completely normal. When a plant from the same family has its pollen shared with another plant that is closely related the seed produced is a hybrid of the parent plants. Whether this pollination is from bees, wind, or man really makes little difference. Man has cultivated, in a very natural way, some great hybrids over the years! Some of the plants are chosen for pest and disease resistance and some for color and flavor. These options are great for beginning gardeners and the only drawback is that you can’t save the seed and expect the same plant the following year. I have grown seed from hybrid tomatoes just to experiment and did get some good results but that is not common. Scientific plant names can be confusing enough with their Latin names and difficult spelling and pronunciation, but why so many names for one plant? Common names can be unhelpful because people attach their own definitions to plants or in varying regions it can mean something different. So it is important to have a scientific definition for each plant. Plants are grouped into; genus, species, and sometimes cultivar or variety. There are different ways you will see this written out but there are rules. Genus is always capitalized, species is always lowercase, cultivar is always capitalized and in single quotes, and variety is always preceded by var. and always in that order. For example: Genus species ‘Cultivar’, Genus species var. Variety, G. species, G. species ‘Cultivar’, Genus ‘Cultivar’, Genus var. Variety, etc. Knowing the scientific name gets very important when you are picking out specific plants for your garden. What Will You Grow and Eat? 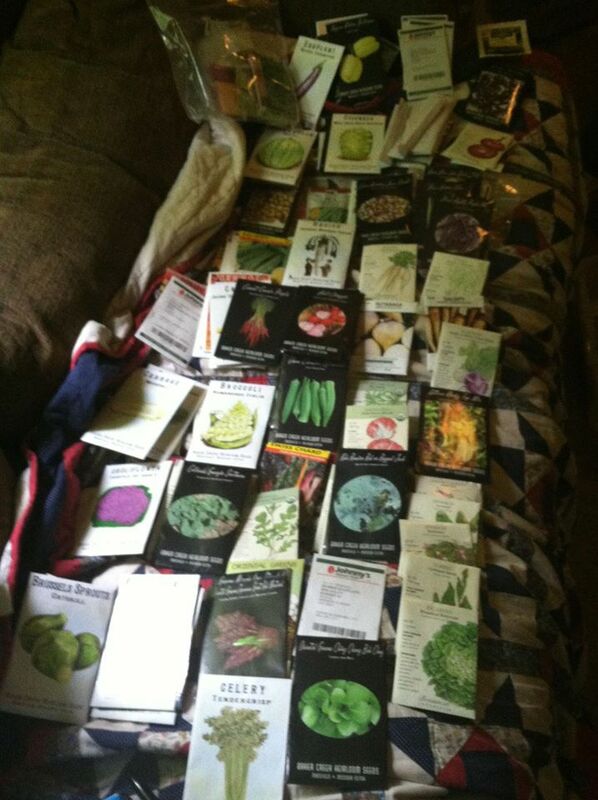 Now that you have all the specifics of where and how to choose seed comes the fun part! What does your family love to eat? What do you buy from the farmers market and grocery store the most? What do you use daily, weekly? What do you have the room for? What is too hard to grow in your region? Do you have the ability to start seed properly? Is it better to purchase certain plants as starts instead? Theses are the questions you need to ask yourself and narrow down your list of what you will grow this year. Really these questions could be a whole other blog post… Remember there is always next year to try something else! Just a sampling of my seed last year! Thanks for making sense of big terms new organic / open-pollinated gardeners should be up on to be an informed grower. I’ll be sharing this post with my network later today. In fact, I’m going to post it to my Real Food Possibilities Facebook Page now. Thank you so much for the kind words and the share! This topic comes up in questions a lot in the groups I admin! Wow Thank you for all this wonderful information!!! Thank you for reading! It’s so confusing sometimes!